You have just found out that you will become new parents to TWO babies in nine months (and sometimes less if they're born prematurely). There is a lot of preparing to do, not the least of which is coming up with names for each new addition to the family. The names that are chosen follow your children throughout their lives, making the decision a very important one. And especially when naming twins, as most people take a more active interest when there's multiples involved. 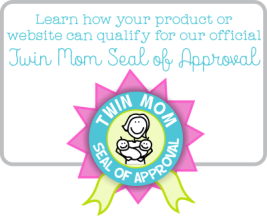 It's often the FIRST thing parents get asked about their twin children! When choosing a name for your newborn twins, a few things need to be considered. First, how will each name sound? Everyone wants to be unique. If the name is hard to pronounce, even if it is cute, it could be challenging throughout life. No one likes their name pronounced every way but the RIGHT way. Some parents like more common names, but they change the spelling to change the look of the name on paper. Megan as the traditional spelling may not look as good as Meghan or Meggan. Faith doesn't look as unique as Fayth. While the alternative spellings may look cool, think about each twin. Will it be easier to remember how to spell their names and will others know as well with the standard spelling or something different? The alternative spelling phenomenon is more common among girls' names, but some boys names fall under this category too. For instance, there is the name Shawn. It has been spelled Shawn, Shaun, and Sean. The last one used to be the hardest to pronounce correctly because of the missing "h". People tend to remember names that flow well. This doesn't mean that the first, middle, and last names have to rhyme, or that your twins names have be too similar for that matter. That may be a bit too much flow. Instead, choose each name so that it compliments the surname. For example, John Smith has a one syllable first and last name. If your last name is long and hard to pronounce, choosing shorter first names for your twins might be better. They will not only easier to say, but easier to read and write. Another thing to consider is nicknames. Generally, names that can be shortened will be shortened by friends and other kids by the time your twins reach school age. Traditional names like Benjamin or Steven, are shortened pretty easily. A name like Catherine will likely be shortened to Cathy. Many parents actually plan on having a nickname or shortened version. However, if you don't like the possibility of nicknames or shortened versions, another name choice could be the solution. This goes for girl's names as well as boy's names. The last thing any parent wants is to open their children up for ridicule from other kids with a nickname that they don't prefer or that sounds funny. Who knew that choosing names for twins involved so much work? 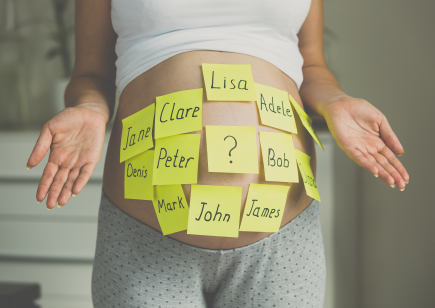 With so many choices for names floating around today, parents have to do a bit more searching to find the perfect ones to fit each of their twins. Start early so there's time to come up with a list of promising names that you can then narrow down until you find the perfect choices for two boys, two girls, or boy & girl bundles of joy. That way, you will be prepared for any combination of genders!